Some are saying Bieber is racist. Very frequently I hear young people of all ages, in public, who can barely get through a sentence without using the word; even calling each other n-words — of all different ethnicities. Clearly Justin Bieber, a young man who by the way, has immersed himself in Black, Hip Hop culture should not be saying the n-word. So the question is, if you want people like Justin Bieber to stop using it and to stop making excuses for using it, shouldn’t you do the same? 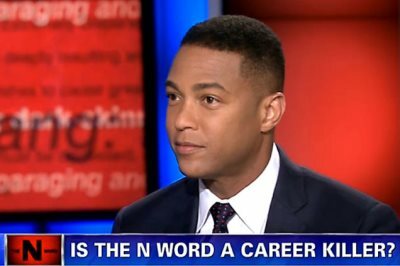 Lemon, an alleged Black man, and who is no stranger to Respectability Politics, has previously voiced his disdain for the various ways in which Black people walk, talk, and generally carry themselves. Like the time, just weeks after George Zimmerman was found not guilty of murdering Trayvon Martin, he provided several ways we could improve our neighborhoods. “It’s time for some tough love,” Lemon said. Very seriously, this included: pulling up our pants, no longer using the word “n*gga,” finishing high school, no more baby-making out of wedlock, and respecting our communities (no littering, y’all). Or the time, three weeks ago, he told us to just “get out of the hood” to escape the violence and ongoing gang warfare, as if leaving is as simple as renting a U-Haul and peacing out. Ta-Nehisi Coates would argue otherwise, bruh. So Lemon’s response to Bieber-gate this morning came as no surprise. He acknowledges that Bieber, who was then just a teen, should “not be saying the n-word,” but then pours the blame on Black people. Lemon so quickly shifts the moral burden of racism onto us—we made Justin do this!—the victims and targets of teenage Bieber’s remarks. But what of Bieber, his words, his (repeated and deliberate) actions, his bad judgement? Even if I were to go along with your “we use the word n*gga which is why we can’t be mad at Bieber for using it” logic, Bieber is still his own man, able-bodied and smart enough to know when he’s saying something stupid (at least I hope). But, no, it’s our fault. Because it’s always our fault, right, Don? You want to move on, Don? Then maybe shut up.